Robin Hood Bingo has a fun theme based around the legend of Robin Hood and you may have seen Maid Marian swooning over a very ‘Errol Flynn’ style Robin Hood in the panto style TV ads. The welcome bonus is always excellent and a great way to try the site and all the super bingo games available. A lot of effort clearly goes into the design of the site and the offers produced. The site tends to be busier in the evenings, but more chances to win during the day if you can access the site then. Not everyone is a fan of the ‘sliding’ jackpot games that feature a lot in the promotional giveaways, but they still feature some very attractive guaranteed cash prizes for the price to play. The lobby is nicely laid out, the games are great quality and the selection is endless. For summer 2017 Robin Hood Bingo has ramped up the welcome bonus a notch. Get a maximum bingo bonus of £50 and 100 bonus spins on a specified slot game for a first deposit of just £10. Use code SUN to be sure of securing this summer bonus. Limited time offer for new players. 100 spins will be on the Fluffy Favourites or 99Time slot game and will be released at 20 per day over consecutive days. Each batch will be available for 48 hours. Maximum win per day may be limited. £10 is the maximum deposit that qualifies for this offer, so you can deposit more, but the bonus will not change. The site also offers Newbies three days of free bingo in The Biggie room. You usually have to deposit £10 to gain access, but new members are given three days access immediately upon registration. During summer 2017 look out for the £30K in guaranteed jackpots every week weekly, the £25K in Free Bingo each month and £50k in special summer prizes. The Daily Grand – Plays every day at 10pm. £1,000 is up for grabs + 1TG and 2TG players share £100, which makes loads of chances to win! A 75 ball bingo game with tickets at £2 each. Sliding jackpot starting at £1,000 in 47 calls or less, falling gradually to £100 in 62 calls or more – £400 to £600 would be average payout for bingo between 54 and 60 calls. Robin Hood Prize Wheel – added to site in February 2017 and is a way to reward regular players. One spin on the Prize Wheel is awarded for every £500 wagered. Spin must be claimed – it will not generate automatically. You can accumulate up to 5 spins per day. See the header bar at the top of the page to monitor progress. 12 different prizes to be won. Wagering as per current site policy. Payday Bingo – this is a £10k slider game with a minimum guaranteed prize of £2,000. Speed Bingo – more games, more wins every day. Coins daily. Just for logging in players are rewarded with bonus loyalty coins. These can ultimately be redeemed for bingo bonus at the rate of £1 for 1,000 coins. There is a clearly defined bingo lobby at Robin Hood that offers a great selection of rooms to play in and bingo games to be a part of. Tabs for Live Bingo, Free Bingo, Easy Peasy, Robin’s Gold, Big Jackpots, Specials and The Grand 55 make it quick and simple to move around to see where you wish to spend your money – on regular games playing every few minutes or on pre-purchases for some of the bigger games around. There are 12 bingo rooms alone under the Live Bingo section and another four for free bingo games. The Easy Peasy section gives you six games a day for a medium sized jackpot at a reasonable price while, Robin’s Gold is the place to be for the daily guaranteed jackpot games. 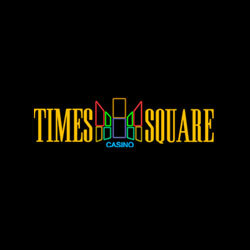 The site has hundreds of online slots, scratch cards, and all the classic casino games you could want. You will always find the top performing games and all the latest releases as they become available from a good cross section of developers such as NetEnt and Microgaming. Rainbow Riches remains a firm favourite, together with Irish Eyes, Starburst and Fluffy Favourites. Alongside these sit title such as Elements and Fairytale Legends:Red Riding Hood and loads more. 3 withdrawals per day permitted. 888Ladies Bingo had a complete makeover in December 2013. It retained its familiar pink theme, but with a much softer feel. The more modern approach makes the site a lot more appealing. Then again in May 2016 there was another refresh and at the same time they adopted the new style Dragonfish games platform and introduced the 52 ball game Flash Fives. Using Dragonfish software, but with all its own games, players get to know each other really well and most of the pots are won in-house. The wagering rules are lower than most sites making it much easier to get at the winnings made. With its great selection of 90 ball and 75 ball bingo games and all the best known slot games there is something for everyone at this long established and trustworthy bingo site. The standard 888 Ladies newbie offer is ‘Deposit £10, play with £60’, but sign-up via WhichBingo and you’ll receive even more with our spend £10, play with £70 deal*. The deal comprises a £20 bingo bonus, plus a £40 games bonus. Be sure to use promo code WIN70. Maximum bonus funds available up to £500. As a new player you’ll also get access to £888 worth of free bingo over the first three days. There are 10 free bingo games on the hour, every hour, from midday to 10pm. There will are 8 games with a £30 prize pot and 2 games worth £28 = £888 in total. Find these in the newbies room on the celebrations tab. From March 2017 everything is under one handy lobby that is much nicer to use than before and makes navigation of lots of important sections so much easier. In the main page there is a section for messages, a Home section, a Bingo section and a Slots section. The Home section shows a moving schedule of the next available games and where they will be playing, price, prize and how many players. It also shows a selection of your favourites games, the best of the promotions and some recent winners. The bingo lobby gives lots more options and contains more facilities. 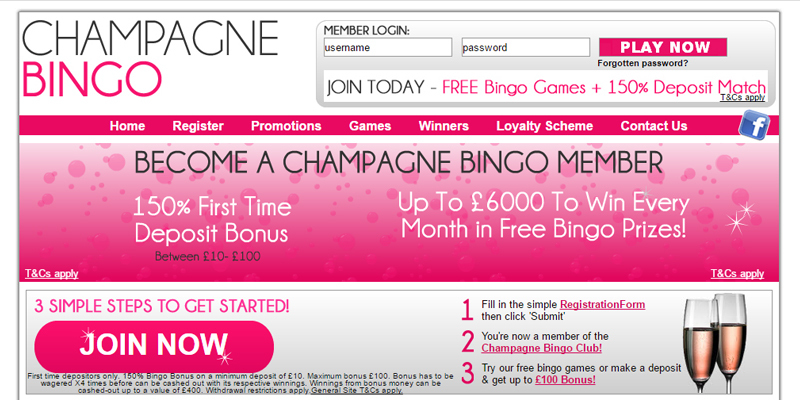 You can see messages from the site and get easy access to your choice of bingo or slots. The top nav bar has options to get you quickly to 90 ball, 75 ball, Daily Jackpots, More Jackpots, Specials, VIP or Free – all bingo related. There are 12 different rooms just for everyday 90 ball and 75 ball games and over a dozen more across the other tabs. If you choose the slots lobby the navigation is there to guide you quickly to the best games around. You can set your preferences under My Faves or take pot luck under Popular, New, Jackpots, Slots, Instants, Casino or All Games. Whether you want an old favourites like Starburst or Irish Eyes, or newer games like Stampede and Warlords, or any of the others in the middle like Spinata Grande or Millionaire Genie you will find it at 888 Ladies Bingo. Once logged in there is a tab from the homepage that you can click to access the separate 888 sites for poker, sportsbetting and casino games if you so wish. Once a deposit has been made more free bingo is available. There is a Daily Free Bingo room featuring 75 ball bingo. There will be 10 games each evening between 7pm and 9pm with each one worth £50. The only criteria for entry is to have made a deposit in the preceding 7 days. Free Sunday £200 – mobile and tablet exclusive game. Play every Sunday at 9pm. Free 90 ball bingo game just for mobile players. 6 free cards for every player. Log in to claim. The Big Daily Jackpots and the Daily £88 Jackpots are old favourites, as are the Frisky £50 games and the Team Bingo event. A deposit of at least £20 must have been made prior to a withdrawal being requested. Access 888 Ladies via any mobile device on the relevant mobile browser. The games are fully optimised for mobile play. The layout of the mobile version of the site is simple and easy to understand. The navigation bar is located at the bottom of the screen and splits up the content into four categories – ‘Games’, ‘Bingo’ , ‘Bonuses’ and ‘More’. 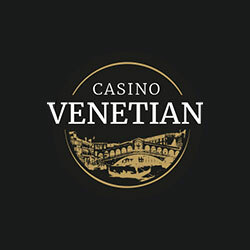 Slot games and instant win games are all under the ‘Games’ section, with a huge selection to choose from, such as Imperial Destiny, Warlords and Fluffy Favourites. The bingo games are all under the ‘Bingo’ section, with a selection of different types available, such as 90 ball, 75 ball, Daily Jackpot and free bingo. 888 Ladies on mobile layout is very straightforward, simplistic and easy to use. 888 Ladies will apparently have it’s promotions under the ‘Bonuses’ section, however when we were testing they were unavailable. Overall 888 Ladies runs great on mobile with super fast load times, with no crashing. It’s simplistic and easy to navigate. iOS App Store – Available for iPad and iPhone the 888ladies mobile app must be one of the very best ways to play bingo while on the go. The app has been carefully designed to feel just like the desktop 888ladies game, but the portability lets players get their bingo fix wherever they are. See our ‘Access vis mobile section’ for full details. 888ladies has also added new features to its mobile bingo options, with a range of slots games available that are exclusive to the app. The slots games really add to the 888ladies mobile bingo app experience and they are a great way to break up a bingo session by trying something new, with big wins on offer. Filthy Rich and The Slot are two of the best slots games available on the 888ladies mobile bingo app, but there is a wide range of choice offering something for everyone. Players log in to their 888ladies account as normal and the app allows them to deposit or withdraw funds just as they can on the website. Android – Presently 888 Ladies does not provide an alternative way of download an app to your android phone. Help Room – as a member visit any chat room and acces the Help Room for a chat host to help you. Winneroo Bingo opened in April 2014 as part of the wider Winneroo concept of online games and competitions. The site changed its name to Bingorella in March 2016 and got a brand new female superhero mascot. The bingo and slots offer operates on the Dragonfish Network, but unfortunately at the time of transfer the site appears to have lost its standalone bingo room which did help to set it apart. The £5 free play no-deposit bonus is available to all new players that join and enter their payment card details during registration for verification. This is followed by a 500% and 10 free slot spins (on Magical Forest) first deposit bonus package, available when a first deposit of £10 or more has been made. 100% Deposit Bonus – paid on each subsequent deposit up to and including deposit number 6. 10 free spins will also be awarded with each of these deposits of at least £10. The Big £10k – 10th monthly at 8pm. £750 for the full house, £500 for two lines and £250 to the 1-Line prize winner. All 1TG players £2,000 and all 2TG players will share £1,500 prize. No-one goes away empty handed as everyone else shares £5,000. Winnings from tickets purchased with bingo bonus funds and from slot spins using bonus funds will be credited to the bonus bank until wagering has been met. At that point remaining winnings will move to the cash bank. However, avoid requesting a withdrawal until wagering has been met or funds in the bonus bank will be forfeited. Once signed up at Bingorella just log on to the site on iPhone, iPad or Android phone and tablet and away you go – it is that simple. 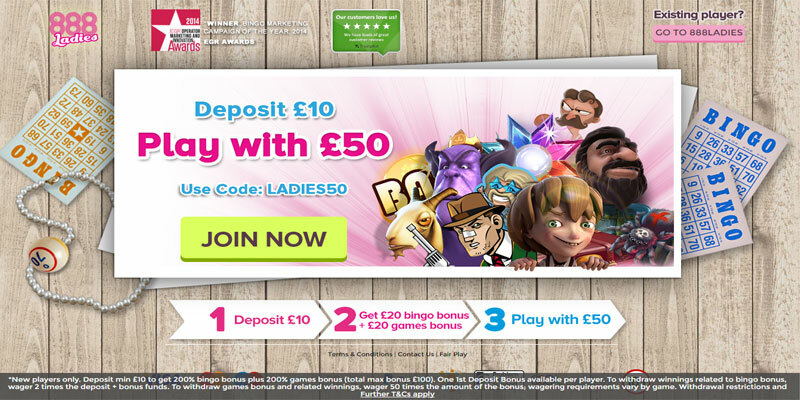 The welcome offer at heart bingo was amended in July 2016 to coincide with massive improvements and additions made to the site. At that point it became a much bigger place to play with tons of bingo and slot games to choose from. Put this together with relatively easy wagering and this has become an even more attractive bingo site to join. Daily free games – Doubly Bubbly or Daily Paper. Win cash, bonus and free slot spins. Until 4th September double the fun as you can play both instead of just one. Heart Bingo gave its mobile bingo and slots offering a major overhaul in April 2016. A 90 ball bingo room was added to the menu, together with a whole range of additional slots. Then in July 2016 it morphed again and you can enjoy four different 90 ball bingo rooms on the move – Candy Club, Goodybag, Time Tunnel and Breaktime. 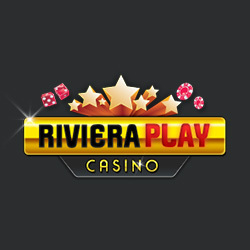 Deposit £10, play with £40 is the great offer giving new players £30 bonus to play with for just a fiver. Explore the site for the first time with this 300% bonus – an offer not to be missed. The Gala exclusive rooms are Allsorts, Bingo Lotto, Castle, City, Coconut Island, Coronation Street Bingo, Emmerdale Bingo, Live Caller Bingo, Mountain, Royal, Rush and Big Banker Bingo. For an enhanced bingo experience why not try Live Caller Bingo. This room features live bingo hosts broadcasting live and even brings in special star guests for a chat. It’s like a bingo hall in your own lounge. The presenters call the numbers as they appear in the game you are playing. It brings the high street experience into your home. The room takes over from Gala Live and is open from 6pm to midnight with friendly presenters calling the numbers live in every game. Join in the Early Session, Big Time Bingo, the Late Session and the Main Event – all live and loud. Enjoy great promos, great prizes, great games and great hosts – all leading to great fun. Another Gala Bingo exclusive! This added feature in the 90 ball bingo rooms was added in August 2016 and enables players to bet on the final outcome of their bingo game as long as at least one ticket has been purchased. Play in the exclusive Gala Bingo rooms City, Country, Castle, Mountain, Royal or Rush and select the Side Bet option before ticket buying time runs out. Gala Bingo has responded to the technical and social challenge of mobile gaming by developing exciting state of the art mobile and tablet offerings. You can sign in using the same login details as regular online accounts with the option to buy a ticket for any of the big games and play either online or on mobile. The importance at Betfred Bingo is placed on providing a pleasant, fun environment. Play chat games with the Betfred Bingo Chat Moderators and make new friends along the way. At Betfred Bingo there are all the latest chat games, plus great promotions. In October 2016 Betfred Bingo got a much needed makeover. The promotions are easier to find and the games are fully HTML5 responsive. The menu is much handier and quicker to access what you want and the games are really easy to find and move around. There’s a whole host of fantastic features in the brand new Bingo Lobby for desktop. The layout has been much improved and navigation is much simpler and straightforward – all geared towards making the Betfred Bingo experience bigger and better and a joy to use. 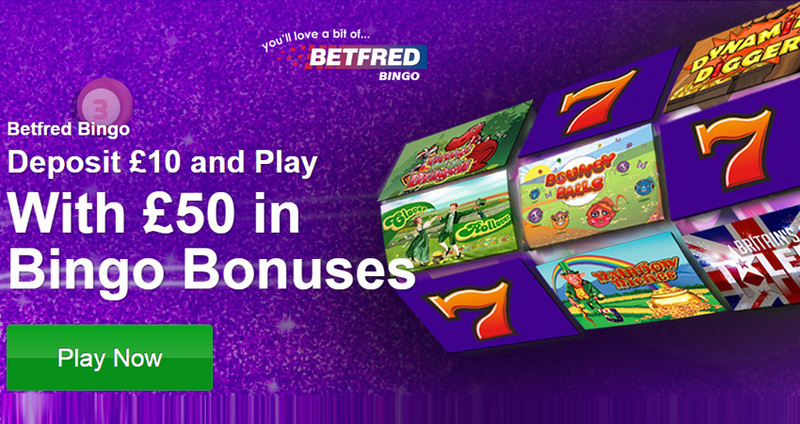 The regular Betfred Bingo offer is a deposit £10, play with £30 deal, but take this special exclusive PerfectBingoSites offer and you’ll get an extra bonus on top and actually play with £60 instead. A £40 bingo bonus credited immediately the £10 spend has been achieved. A second £30 bonus will be credited within 24 hours of staking and is made up of a £10 bingo bonus and a £20 side games bonus. 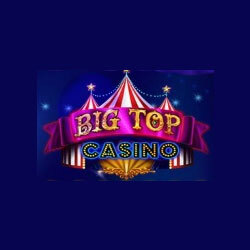 Big-name slots titles bring around-the-clock excitement and include The X Factor Judges Jackpot, Britain’s Got Talent Superstar, Clover Rollover and Little Britain, Clover Rollover and Big Top Tombola that have progressive jackpots worth hundreds of thousands of pounds to play for, plus much more. A wide selection of promotions is available week in, week out at Betfred Bingo. Winners Wednesday puts £20k up for grabs every Wednesday evening, with one of the games worth £4,000 alone. The monthly £200k Weekend hosts special prize-packed games over two days, with rewards totalling £200,000. Promotional games include Bingo Linx, Last Chance Saloon and Party games. Betfred Bingo can also be accessed via mobile, offering all be best bingo games and an excellent range of slots including Britain’s Got Talent Superstar, Clover Rollover and Cleopatra’s Chest. The side games bonus must be wagered 20x. The second Bingo bonus must be wagered twice. BOGOF Bingo opened in February 2009 and operates on Virtue Fusion bingo software and was one of the earlier sites on that network.Let lose the detective in you with this detective bingo game.The software is popular with players and has bigger prizes because the rooms are networked with other VF bingo sites. The site underwent a major makeover in December 2014 to bring it bang up to date. Let us review BOGOF Bingo which belongs to the Playtech Network. Let us sneak in and check out the details about its offers and promotions. As far as the BOGOF Bingo bonuses for new players is concerned all new players can get up to 200% first deposit bonus. This amount can be up to £105. This consists of 100% Bingo bonus and 100 % of games and slot bonus. This helps the players to try out all that the site has in store for its players. So when a newcomer makes a deposit of £10 he will get £15 in Bingo funds and £ 15 as games bonus. Therefore by just spending £ 10 newcomers get to play BOGOF Bingo with £30. So all you lovely women bingo players in the UK who want the best deal this game is surely one which you will like. BOGOF Bingo have a mobile version for you to play when you’re out and about. There’s no downloading and no fuss, you just need a mobile or tablet device with a good internet connection. 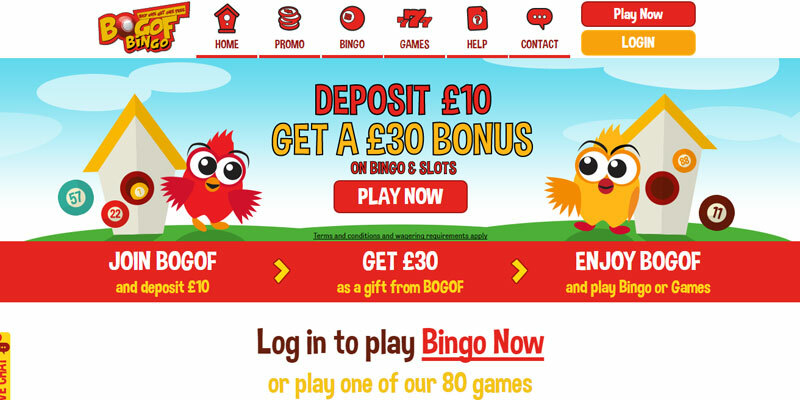 Register or log in to BOGOF Bingo and you’ll find all the regular games and promotions waiting for you. Let us review Bucky Bingo which belongs to the Playtech Network. Let us sneak in and check out the details about its offers and promotions. 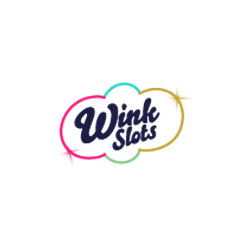 With loads of bingo rooms and a geat selection of the best slot games around that’s a nice welcome and a great way to get to know the site. So all you lovely women bingo players in the UK who want the best deal this game is surely one which you will like. Free bingo – Every day, once in the morning and again at night. Deal or No Deal 90 ball bingo came to Bucky Bingo early in 2016. If you have tried the site in the past and found this popular game missing and it spoiled your enjoyment, now it the time to give it another try as it adds to its lobby. Speed Bingo was added in August 2016. Play the 90 ball and 75 ball bingo games on mobile devices, plus a small selection of the most popular Virtue Fusion slot games, although one of the most popular recent additions to the Playtech list of unique games, Cash Cubes, is available only to mobile players. Rainbow Riches, Dynamite Digger and all the same great bingo rooms are on the Bucky Bingo app for apple iPhone and iPad users. 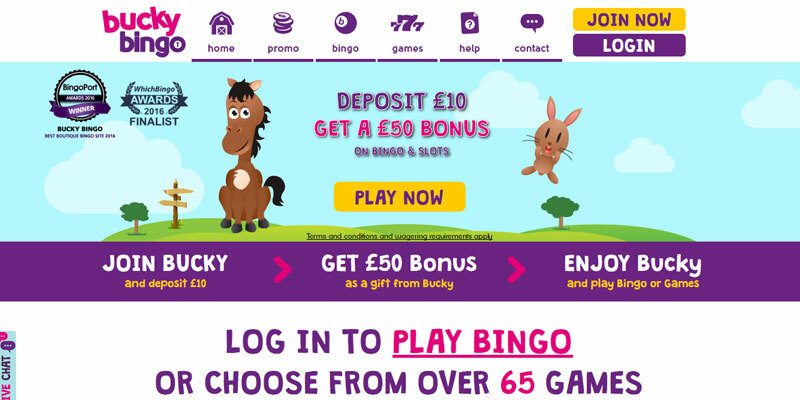 It’s easy to get hold of the app – search ‘Bucky Bingo’ in the App store and log in as normal when downloaded. Bingo Loft is the new name of the previous Big Brother Bingo which originally launched early in 2012 and was strongly themed around the Big Brother TV show on Channel 5. The new identity went live in October 2015. No reason was given for the sudden change of name to Bingo Loft in mid-2015, but it could well be that the TV company behind Big Brother withdrew their agreement to the use of the name. The team behind Bingo Loft is very experienced and try to deliver something different to the online bingo player. The Dragonfish platform paves the way for some fun games and as well as great bingo offers tons of slots to choose from. Register at Bingo Loft and make a first deposit of anything from £5 to £100 to qualify for the 200% first deposit bonus. That means a bonus on offer of anything from £10 to £200. Joy Jackpots is a new feature that has guaranteed jackpots and 24/7 regular bingo games, with tickets starting at just 1p. Games take place in the Joy90 and the £100 Daily Windfall rooms. Bingo Loft has two progressive bingo jackpot rooms; Money Box 90 and Gold Mine 75. Money Box 90 is a 90 ball bingo game that gives away the progressive jackpot when you call a full house in 37 numbers or less. Gold Mine 75 is a 75 ball bingo game that takes place every 30 minutes from 7pm. You will need to get the specified pattern in 28 numbers or less to win that progressive jackpot. A £20 deposit must have been made prior to requesting a withdrawal. Bingo Loft is available via any mobile device. You can either head to the site on your browser or scan the QR code available on the main bingo site. The mobile is site is very well laid out and you can find what you’re looking for easily, with the aid of big navigation tabs.